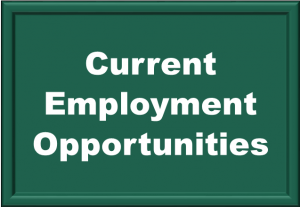 St. Francois County Health Center is currently looking to fill a position for a Community Health Nurse. This is an entry-level professional position that will be responsible for providing professional, prompt attention to the needs and health concerns of clients of the community. The individual that holds this position may hold other positions within the Health Center. Nursing or with Associate of Arts Degree in Nursing. • Public Health experience preferred, but not required. This position is supervised by the Nursing Supervisor and /or the Director or Assistant Director. center guidelines, maintaining accurate records. • Provide immunization records to authorized parties. information to clients. Complete TEMP Medicaid paperwork if needed. Department of Health and Senior Services protocols. • Assist in Women’s Health Clinics. confidentiality of all clients according to HIPPA. education, health promotion, and behavioral risk reduction program activities. • Coordinates monthly radio programs. • Keeps brochure holders in the building stocked with appropriate brochures. • Orders brochures as needed. • Gathers information for Health Fairs and participates in Health Fairs as needed. • Prepares appropriate messages for posting on Health Center webpage. • Ability to effectively communicate health education to individuals, groups. • Considerable knowledge of immunization schedules for all age groups. • Considerable knowledge of each vaccine. • Ability to draw blood. • Ability to counsel clients on abnormal values. solving techniques to community health needs. • Working knowledge of communicable disease control and epidemiology. regulations and departmental programs, policies and procedures. • Attends mandatory staff meetings. • Computer literacy and keyboarding skills. • Current CPR/First Aid/AED certification. in the health education and health promotion component of a public health program. determinants of behavior and methods to promote healthy lifestyles. effectively to individuals, groups and agency staff. employees, community groups and the general public. • Ability to speak to media to relay health related information. • Ability to work well with individuals of diverse socioeconomic/cultural backgrounds. media and co-workers. • Will attend meetings/trainings to keep current. • Will attend mandatory staff meetings. • Will participate in Health Center Emergency Planning meetings. • Will assist in other areas of the Health Center as needed. Health Center staff is needed. • Participates in Quality Improvement Planning. Nurse and Health Education within a year of hire. This position earns time and one half for any time worked over 40 hours a week.